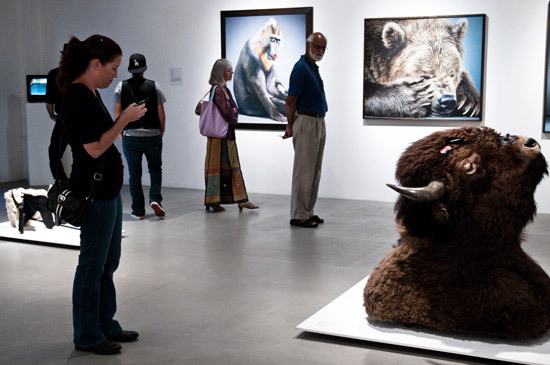 University of California, Riverside’s Sweeney Art Gallery presented Intelligent Design: Interspecies Art during fall 2009 and winter 2010. This was group exhibition of twenty international artists exploring human interaction with animals through provocative video installations, photographs, paintings, and sculptures. It was co-curated by myself and Los Angeles-based artist and independent curator Rachel Mayeri. Intelligent Design came on the heels of several exhibitions and conferences in the UK in 2009 that explored the topic of interspecies interactions in light of the 200th anniversary of Charles Darwin’s birth. Buy Real Soma During the run of the exhibition, I kept being reminded that different species will never know the consciousness of the other. However, one can say the same for two humans as well. For the most part, the exhibition was a representation of the well intentioned possibility of collaboration and/or communication between species. But I’ve wondered if there might be some way to represent the unseen gap between two beings, that seems to be full of gestures, attempts, and desires to communicate. I’ve always believed that visual art is one of the best ways to represent this “gap” as it is a process, object, or event that often attempts to create a platform for questions, intentionally avoiding answers. With this “cutup” text, Id like to create openings between “mountains” and partial absences between “words.” Maybe my cat and I will better understand our disparity.